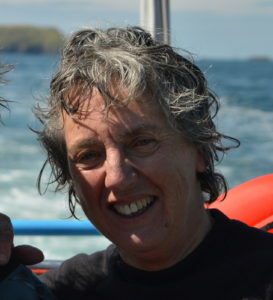 As Training Officer Hilary is responsible for organising the Club’s training programme and ensuring divers have the opportunity to progress their diving. Hilary is a Dive Leader who has been diving since 1996, when she was taught by her partner Miles. He always says she was the worst student he ever had, and she’s not sure he isn’t right! They both joined the Club in 2001. Most memorable dive moment: Being surrounded by sharks, mantas, jacks, batfish and all sorts of reef-fish at Raja Ampat. It was breathtaking. Most embarrassing dive moment: as a recently qualified rebreather diver jumping in without her fins in front of a load of other divers in the Red Sea. After a dive she likes to sit in the sunshine with a glass red wine. When not diving, Hilary can be found playing netball or badminton.